Reacting to stress, our nervous system secretes adrenaline, disrupting functions such as immunity and digestion. In addition, stress raises our blood pressure and heart rate and may cause allergic reactions, sweating or wheezing. When stress affects our muscles, we may experience discomfort or decreased mobility. 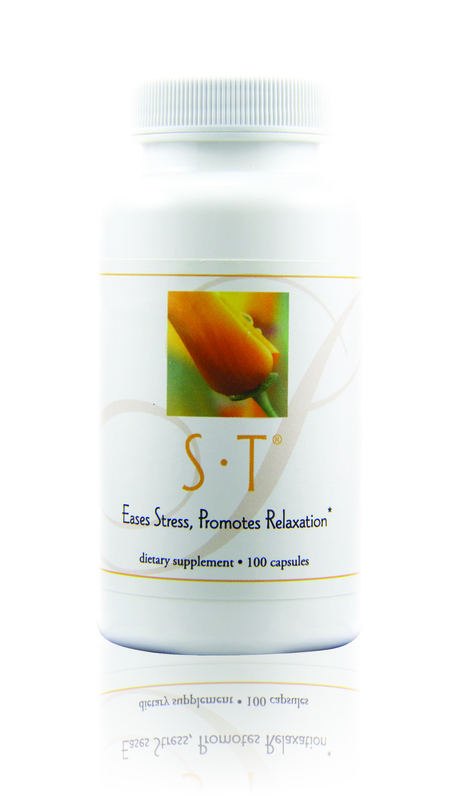 S•T soothes the nervous system with a combination of herbs carefully balanced to ease stress and promote relaxation. S•T works both immediately and cumulatively. Immediately noticeable results may include normalized heart rate or blood pressure, restored appetite, improved sleep or relaxed muscles. Pearl powder is a source of calming B-vitamins, amino acids and calcium and has traditionally been used to tranquilize the spirit and enhance beauty. Ji-Lin ginseng works as an adaptogen to help the body adjust to stress. Other herbs in the formula nourish the kidneys and cardiovascular system. When used long term, the calming and soothing herbs in S•T may help restore proper urination, digestion, cardiovascular function and liver health. Research into stress hormones and their long term effects indicate there may be a single approach to help protect us against many common health risks. In addition to the nervous system, the immune system may also react to physical or emotional stress by initiating an inflammatory reaction. Such repeated inflammatory reactions are thought to affect blood sugar and cholesterol metabolism, heart health, skin appearance, memory and even fat cell production. 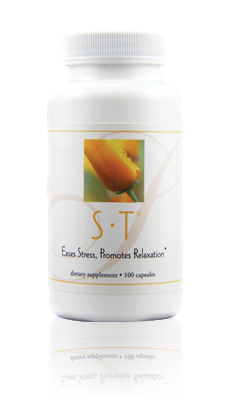 S•T is formulated with whole food ingredients to support the immune system and help protect the body from the long-term damaging effects of stress. E. EXCEL provides convenient, whole food products, developed using the science of Nutritional Immunology, that supply antioxidants, phytochemicals, and polysaccharides to support and nourish your immune system.